Like two ships always passing in the night, Rosie and Alex stay friends, and though years pass, the two remain firmly attached via emails and letters. Heartbroken, they learn to live without each other. But destiny is a funny thing, and in this novel o f several missed opportunities, Rosie and Alex learn that fate isn’t quite done with them yet. This was the February read-a-long choice for the Bibliophile Academy Book Club (which I am an admin for) so I figured I’d read it. Well…I had heard some amazing things but unfortunately this book just didn’t live up to them. The entire thing is written in letters, emails, notes, instant messaging and the like which made for it to be a very fast read, which was realistically (and unfortunately) my favorite part about the whole book. To start, I HATE books where literally lack of communication is the issue. Characters, you’re capable of talking. You’re readers want dialogue and conversation to happen between you. Please don’t just sit there and pretend like everything is fine and dandy to the person you’re having issues with, only to complain about it to everyone else. UGH this book made me want to shake the characters and I couldn’t. I actually had to put the book down at points because I was so frustrated with their life choices. I actually said, out loud, “WHAT ARE YOU EVEN DOING?” at least 4 times throughout reading. I don’t know, this was just not my cup of tea. 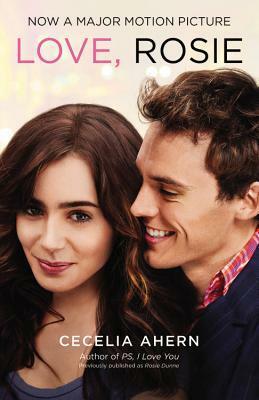 I read this book (as a young teen mind you) and loved it… Wasn’t called Love, Rosie though. Can’t quite remember the title definitely wasn’t called Love, Rosie. Is that the movies name or something? I was gonna pick this one up but I thought I’d actually watch the movie first to see if the book would be worth it. Now I’m glad that I chose to do it that way!